Git is now managing the project, but what is it actually doing? Lets look at the history first, which you can see with git log. The excerpt from Listing 6 shows a project with two commits, which corresponds to two versions. Each commit is identified by a 40-digit SHA1 hash, which I will simply refer to as the hash. The hash is used for unique identification and as a checksum. For some commands, it is possible to specify the hash as a parameter; the first 8 to 10 digits are often sufficient. The git log 77558e4ac command will only output the log messages up to the specified commit. 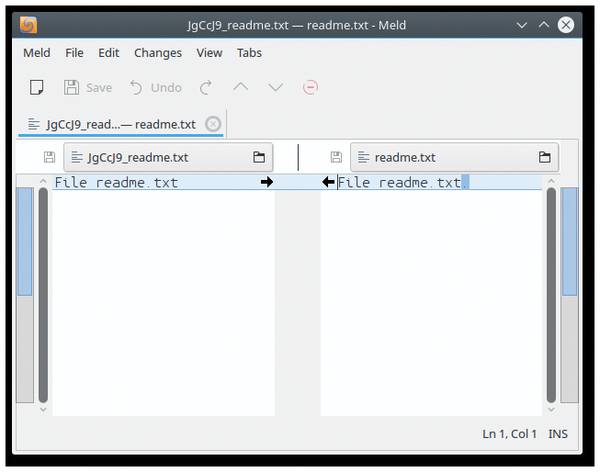 In the terminal, you can copy and paste the hash with the mouse by double-clicking the hash with the left mouse button and then pasting it again with a single click on the middle mouse button. Table 3 contains some commands, including possible options for handling the versioned data. The commands include a multitude of options. Figure 5: The git difftool command calls an external program to view the differences between files, in this case, the Meld visual diff and merge tool. to define the external program if required. So far, the project consists only of a local repository in the project directory. However, a typical project usually comes from a remote repository. To create a remote repository, first create a bare repository from the local data. Unlike the local repo, this does not contain a working directory. You then have the option to move the bare repository to a corresponding directory, ~/gitrepo in Listing 7. You can then rename or delete the existing project directory. Simply clone the newly created remote repository, and Git creates the subdirectory. From now on, you will be editing the project in the newly created mproject directory. The local repository is connected to the remote gitrepo/mproject repository. The git push command transfers the data from the local directory to the remote directory. Using Git is quite simple, even without prior knowledge of version control systems. You can complete your daily work efficiently at the command line with just a few commands. And since Git usually saves the changes locally, commands execute quickly.